C3RLabs offers fully-equipped focus group facilities. available to ensure your focus group study is a success. 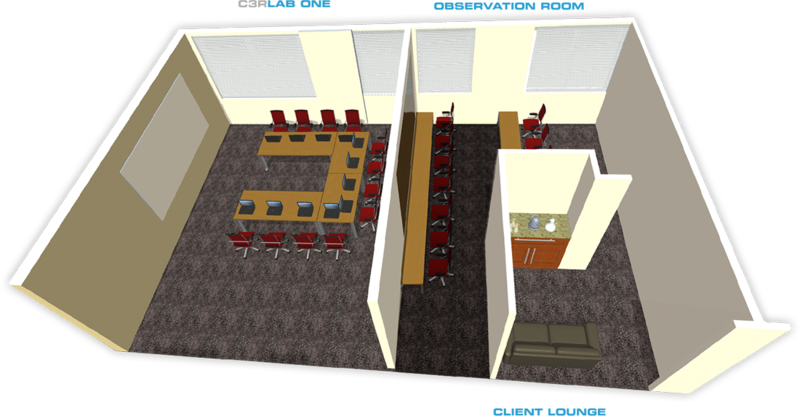 Large conference-style space accommodates 12 comfortably. Suitable for large focus groups, mobile testing, usability studies, and in-depth interviewing. focus groups of 8-10 participants; or eye-tracking and biometric studies. The viewing room can accommodate 10 comfortably.